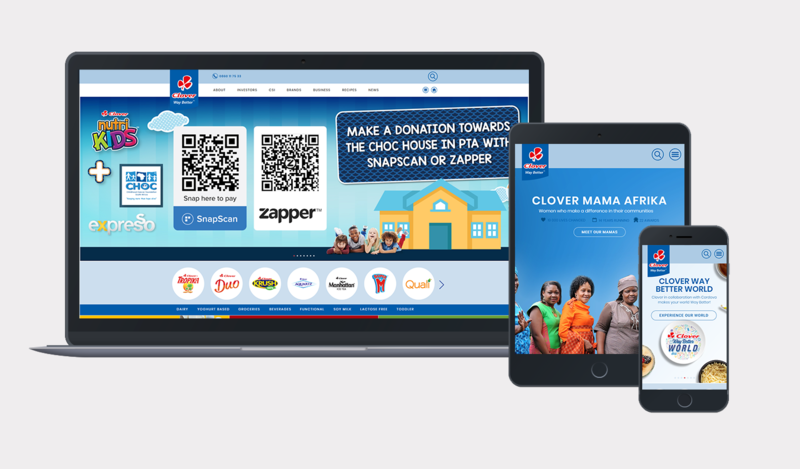 Clover was looking to replatform their corporate website with the major objectives of solving the inability to move at speed from a campaign broadcast and content administrative function. Bluegrass worked closely with Clover’s digital marketing agency AMOK to review the key user journeys, information architecture and the user interface designs, to ensure they meet the required B2B and B2C content strategies and Clover brand team marketing requirements. 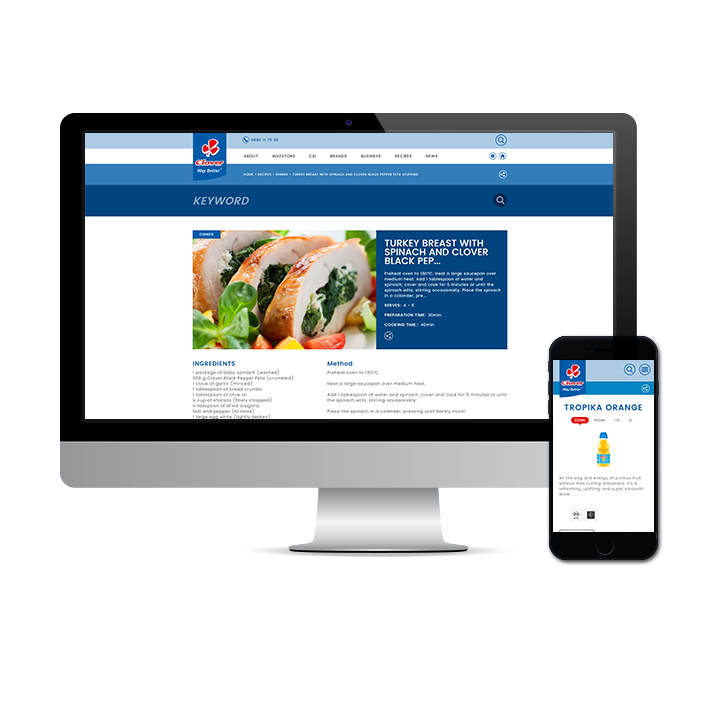 The project ran under tight deadlines to deliver a very large website within fixed timelines and budget. The project was successfully delivered and went surprisingly smoothly considering the number of stakeholders collaborating on the project and the timelines. The Clover website is an important resource serving a broad audience with corporate, investor, brand and consumer information. 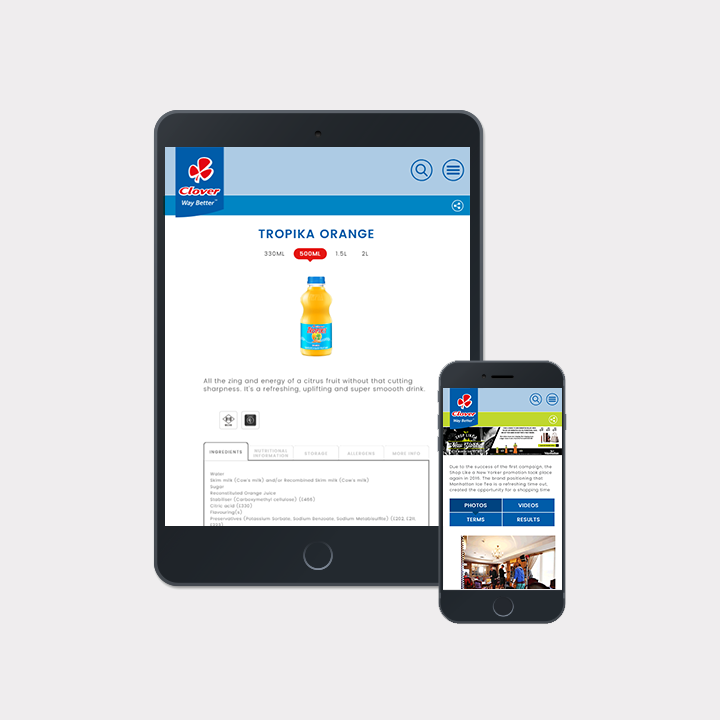 The new site launched in June 2018 and was widely accepted by all parties with a resulting increase in user engagement.